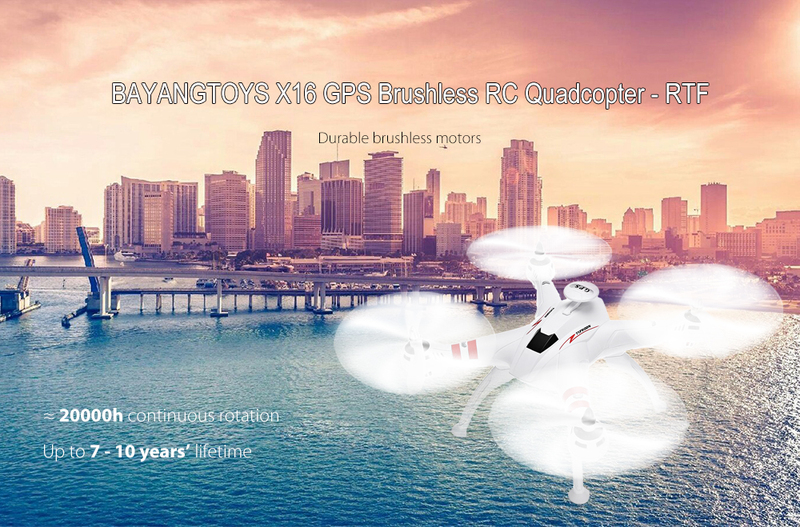 BAYANGTOYS X16 best price RC quadcopter, equipped with powerful brushless motors and a GPS module, is more competent to bring you an enjoyable flight. 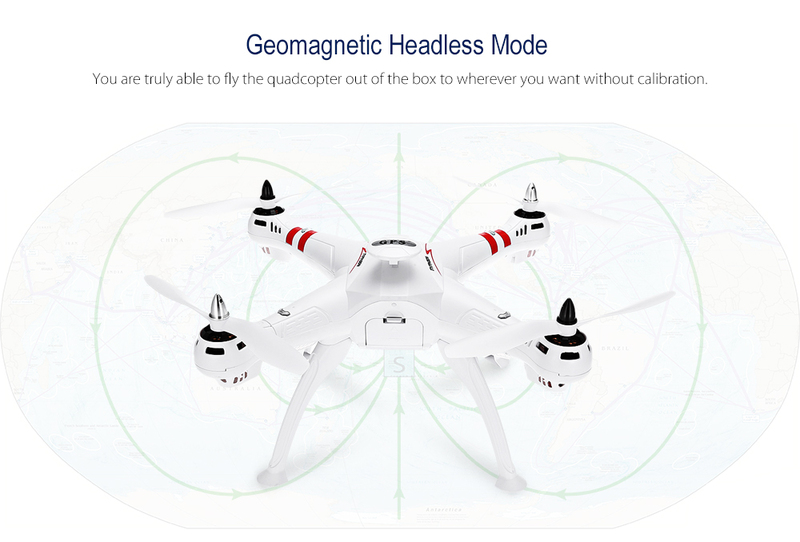 Thanks to the GPS module, you do not need to calibrate the direction before takeoff and X16 will head back directly as soon as you recall it. 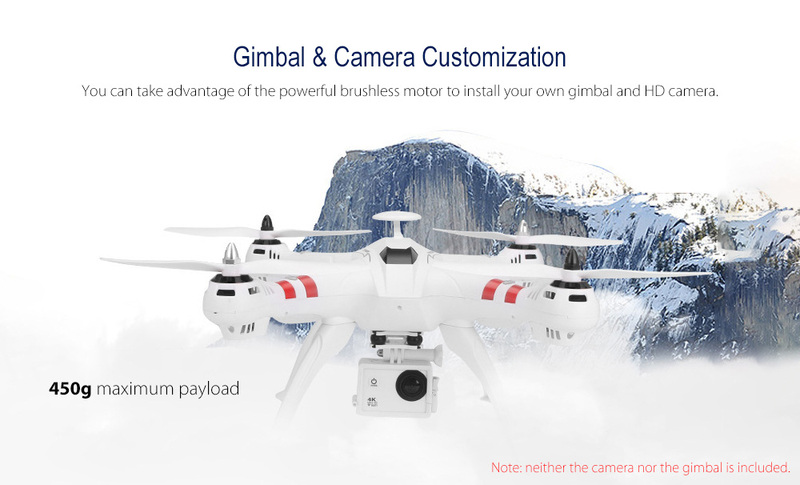 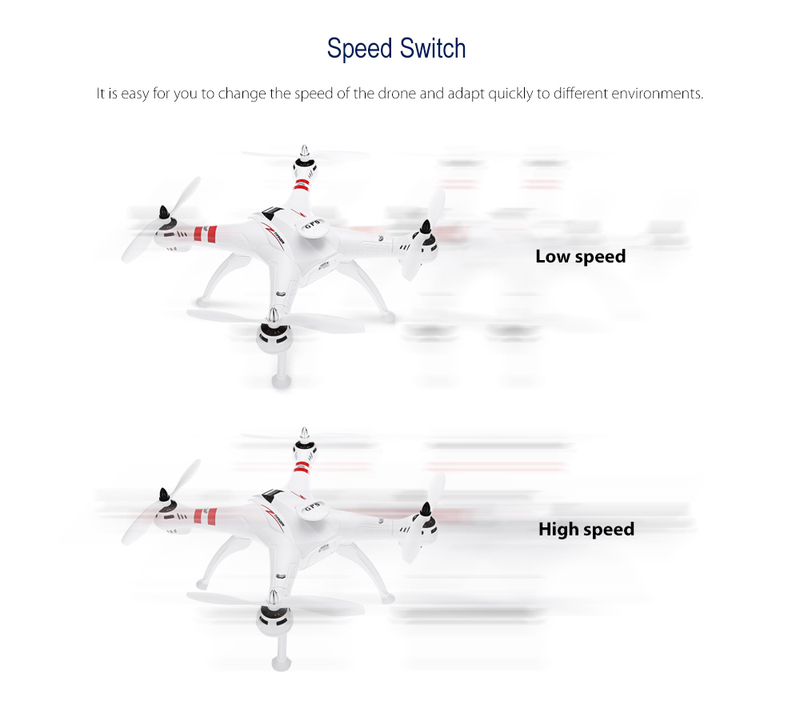 Moreover, BAYANGTOYS X16 brushless drone has a high-performance propulsion system which can support up to 450g payload, giving you a great freedom to install the gimbal and the camera. 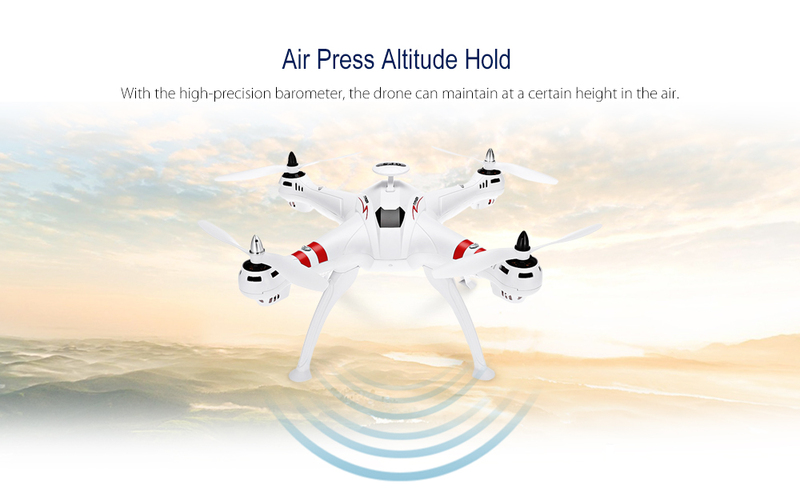 There is also Altitude Hold Mode for smooth shots.